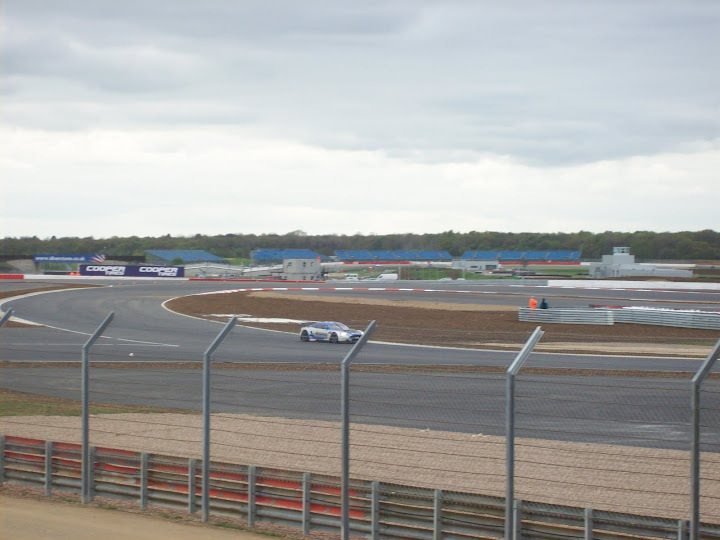 I spent Sunday at Silverstone during the FIA GT1 World Championship event. There were two reasons for going, firstly I wanted to see the big circuit layout changes for myself and secondly I needed my first post-winter fix of live racing. I got there a little late after not realising just how far away the circuit is from my house, I’d underestimated by a full hour and I had got away late too – I must have arrived 90 minutes after the time I’d intended. This meant I missed the GT3 race and most of the GT4 race. Luckily I’d been directed to park at Abbey corner so I was just a short walk from the first part of the new section, where I watched the last ten minutes of the GT4. The first thing that struck me was the building site opposite. This is the location for the brand new pitlane. The only thing finished is the track itself, the new pitwall, and whatever existing facilities were not torn down. There is dust and dirt on the track surface, not helped by the wind which must be blowing plenty of it from the construction site in the infield. It had also been raining. The new Abbey is a very fast corner! It is much tighter than I expected it to be yet the cars carry a lot of speed through there. I would expect F1 cars to reach 150mph+. The GT cars were travelling quickly too but were hampered by the low grip on the damp circuit. I’ve never watched a race on the old layout from here but it seems clear to me these changes improve this viewing spot considerably – far better to watch cars flying at speed than the heavy braking of old. Remember this will become the first corner in a year or two when the start line is moved down here – until then I don’t expect much passing at this point. Here are a couple of shots I took of the new pit area as it looks right now – it is early days yet and they have rightly been focussing on completing the new section of track. You can see how tight Abbey looks, but because it opens out again they can carry a lot of speed. Unfortunately there was nowhere to watch the exit of Abbey as there’s a little campsite / motorhome park in the way. I could probably have sneaked in actually, never mind. I hope they move the camping area and put a stand or a spectator bank here, it would be great to see the cars coming toward you at speed as you’d be able to see the cars move around and see the drivers working to control them, especially in the damp conditions we had. Moving further up the new section, I entered the grandstand at the Village corner. I’m hoping this was a temporary stand as it wasn’t quite big enough, it seemed to be the busiest stand at the circuit as it was full for this race and people were being turned away. I must give a shout out to the steward in the left-hand side of the stand where I was, very friendly and he did everything he could to make sure every seat was filled before he apologetically and reluctantly turned anyone back, checking every time. He even seemed a little disappointed when I moved on halfway through the race, as if I thought it wasn’t good enough when in reality I only wanted to see a different angle. Much better than some of the jobsworths you can get doing that job – I have to say I’ve come to expect anyone in a flourescent coat at a race track to automatically hassle you or check your ticket and say you don’t have the right pass – this was quite the opposite, two thumbs up. If and when they build a bigger stand it does need to be angled slightly clockwise, to give a better view of the run into the corner so you can see an overtake move being set up, rather than finishing. Those at the far right had a good view. What I liked about this stand was the closeness to the track. I’m a little disappointed my only decent photo to illustrate this was of a Safety Car! I do have a short video, limitations with WordPress mean I can’t embed it here. It looks to be a good place to watch a race if you like to see cars for longer periods of time. It puts them in front of you for longer and you can really see them working to slow down, then hard on the gas for the short section before hard braking and turning in before the other guy can get inside on the left. You can see the Loop does set cars up for an overtake through Aintree and along the following straight, and cars were side by side as they left our vision, but you don’t see how those moves are resolved until they come by again – a big screen may be needed here. There was also no circuit commentary at this point, though this is sometimes useless as it is drowned out by the engines I do find it helps for when the cars are at the other side of the track and when there is a Safety Car. GT and F3 cars seemed to be able to make it work, it was hard to tell not really being familiar with the paint schemes of anything other than the Vitaphone cars (I do like that car), that and the cold biting wind making my eyes water. To be honest I wasn’t paying a whole lot of attention to the race order, I was really watching to see how the drivers worked the new section and whether there was much side-by-side action. I think F1 drivers will be able to line up a pass into Village, they will have to be very optimistic if they expect to make it stick though. If they do get alongside they will have to watch out in The Loop because several times I saw cars go for the same piece of track, and the car on the inside (left) had to back out of it almost every time. What will probably work better is the way The Loop upsets the rythym of a driver if he gets it wrong so we should see lots of passing attempts into Brooklands corner. I do think it’ll make a great MotoGP track, we could yet see the best MotoGP race of the year here. I made it to the Maggotts/Becketts sequence, there is a grandstand on the left side of the track and if you stand at the top row or along the right-hand side you can look behind you at the new layout. The grandstand on the outside of the circuit at Becketts has been dismantled but let me tell you, when the replacement is up it will be a prime viewing position. You’ll have fast cars in front of you and in the background you’ll see the new section where you may have cars passing and getting into trouble – plus it means you see the cars twice per lap, last year you’d have seen them 60 times during the F1 GP and this year you’ll see them 120 times, instantly helping to justify the high price of the tickets. For those where I was stood on the infield side, you’ll have to be sure to get as far right in the stand as possible and be ready to crane your neck. While you do get neckache and with a crowd you may struggle, you do get a better idea of how battles are progressing when you see them twice. I followed a Maserati and a Nissan for a couple of laps and even in the half lap between Becketts and Village it was clear the Nissan was faster – I believe it overtook for 3rd. I stayed in this position for the start of the British F3 race but this was as tedious as most F3 races are, at least it seemed it to me. I didn’t see much passing, there was an incident at The Loop where a car tried to pass on the inside but instead tagged the guy on the outside into a spin – I suspect this will happen a lot in open wheel cars here. James Calado and Oliver Webb fought it out for the win which eventually went Calado’s way. While they were doing that I made my way to Copse and watched the end there, before wandering around the fully open (if somewhat deserted) paddock. The F3 teams were wheeling their kit back through and various GT teams were packing up, that was about it. I managed to buy a Vitaphone Maserati jumper – which was on discount – for even less after confusing the German shopkeepers and then realising I didn’t have enough money. I think they just wanted to get rid of me! The changes are very good. We’ll mourn the loss of Bridge corner for the driving challenge, and we’ll celebrate the different challenge the new section brings. It is tight and the drivers will need to get their elbows out. Brooklands should now feature passing. Okay so Silverstone looks scruffy at the moment. The place is half-finished. None of the grandstands on the main straight were open, some are old ones still being put back together, some are brand new ones that haven’t been finished yet – if it looked quiet between Copse and Luffield, that’s why. The stand at Village needs making bigger and others aren’t even there at all. These things will be fixed by June for the MotoGP race. The track is surrounded by upturned mud. Most of this will surely have grass seed in it and will look great next year, if not sooner. The construction site will be an eyesore for the 2010 Moto and F1 GPs and then it’ll be gone. 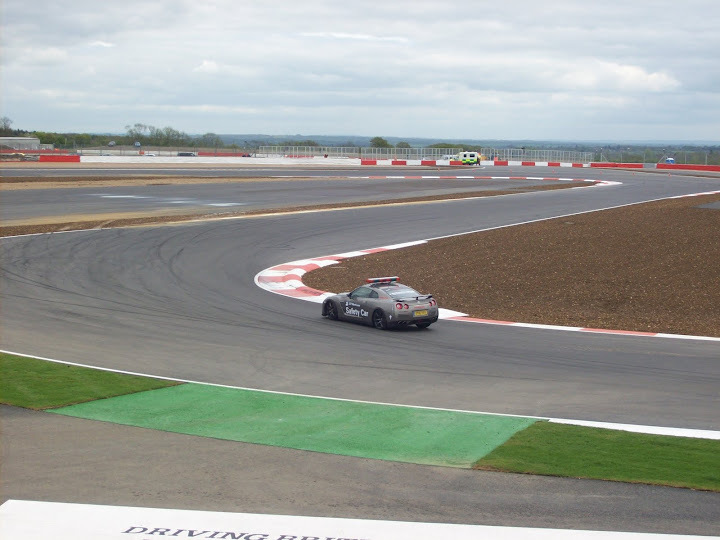 Silverstone 2010 as a place is a work in progress and a venue in transition. It will get better – in some ways it already is better, it offers better viewing locations already. Just one more thing. The food vans are overpriced and the one I visited – infield by the fairground at the crossroads – served cold food and lukewarm tea. All concessions had shut before the last race had finished. I wanted to watch the races and then get something for the road – I had a 3-hour drive ahead of me. This is not good enough. This was the first big event after a very public relaunch, you should be bending over backwards for people. Just keep them open until ten or fifteen minutes after the last chequered flag. Admittedly it was a very late programme and the race didn’t finish until 5.30pm, but that is not an excuse to close. Fix this. You can view more of my photos of the day at my Picasa site. There are also a few more short videos on my YouTube account. F1 returns to the dustbowl of the Hungaroring, where as usual the forecast is for high temperatures. The dust of the surrounding area has a tendency to get all over the track and make grip very hard to come by, it is this in combination with the circuit layout itself that tends to prevent good racing at this notoriously boring race track – though the changes to turn one a few years ago have created a divebomb-braking opportunity for the brave/crazy (if not in the F1 race, definitely in the GP2 support races!). I am not a fan of this event although it did bring F1 to Eastern Europe as long ago as the mid-1980s, and track improvements over the last two decades have improved racing.. a bit..
USA – HEAVILY DELAYED on FOX at 3pm ET. This is the second visit to Edmonton for the IndyCars but the 5th (I think?) running of the event, with this being a former Champ Car venue – but any advantage the CC guys had has now been erased and there should be a nice level playing field, apart from the actual track surface of this bumpy airport circuit! Of note this year is the first visit to the circuit of the supporting Indy Lights series. The final visit to Donington for the premier motorbike series, for now at least, as it moves in the opposite direction to F1 and will pitch up at Silverstone in 2010, with apparent mixed feelings from the riders. Some love Donny, some can’t wait to leave. I think it makes a great motorbike track with the sweeping curves. Living in the UK I know the forecast for the weekend. Saturday is due to be warm and sunny so qualifying should be representative – but rain is due to appear for the race on Sunday. USA – SPEED claims 6pm ET, which is not possible because the race starts at 8.30pm ET. A multitude of historic racing series at what used to be known as the Coys Historic Festival. Featuring: GP Masters, Pre-66 F1, the David Leslie Memorial Trophy for 90s Tourers, BRDC Historic Sportscars, Classic Group C and a lot more. 24 hours ago Max Mosely and Luca di Montezemelo were sat discussing the FIA/FOTA fiasco, with Bernie Ecclestone also present presumably as moderator as well as looking after his own interests. The trio reportedly discussed the issues for most of the night in order to strike a deal before Wednesday’s crucial FIA World Motorsport Council (WSMC) meeting, in which frankly anything could have happened. – There will be no FOTA breakaway, instead they will report back tomorrow with cost-reduction proposals. – Budgets are to be reduced to “early 1990s levels” within two years. Curiously the method for achieving this was not stated so the budget cap may not be the answer. – The 1998 Concorde Agreement, which determines the distribution of revenues, methods for agreeing regulations, and more, has been amended and extended to 2012. This means all teams are committed to that date. The latter three operations will use the cheap Cosworth engines, it is currently unclear if those will be under 2006 regulations since 2006 was the last year Cosworth competed (as a nod to cost-saving). If so this would give them a 2000rpm advantage over the other teams, and not have to run to the multi-race engine rules. While this is clearly unfair, it could be the new teams’ chassis will be so far behind the established teams, for the first couple of years anyway, that it all balances out nicely – should the new teams catch up, they can expect these breaks to be lifted. You can read the FIA press release on their own website. Within the press release were some other nuggets relating to other FIA series. – The new 1.6 litre turbo engine will be brought in ahead of schedule in 2011. – Events can now be more flexible. Instead of running to a set 3-day timetable, they may run 2, 3 or 4 days as long as it finishes on a Saturday or Sunday. They may include different surfaces. – The 2010 calendar is out and you can see it in the link. Looks like the move to a winter championship schedule has been quietly dropped. – Yokohama is the sole supplier for the next three years. – Autosport reported the 1.6 litre engine will be used in WTCC in 2011 as well, and that it’ll be a spec engine, but the release doesn’t mention this. – The 2010 calendar is out, check it out in the link. Algarve and Zolder are in. Pau is out. Valencia and Imola move around, assuming Imola is the Italian round. I find the whole idea of the top rally and touring car series running 1.6 litre engines to be laughable. At least the rally cars will be turbocharged. – Stephane Ratel’s plan to expand FIA GT into a new FIA GT1 World Championship has been authorised. GT2 will split into a new European series of its own races, many of which will run on GT1 weekends alongside GT3 and GT4. – GT1 will be for pro drivers, GT2 for pro-am, and GT3 for non-professionals. – The Bucharest street race next year is out, instead they’ll go to Budapest (I’m assuming this means the Hungaroring). It seems like a good idea and I really hope it works for them, despite my reservations at losing the element of class traffic from sportscar racing. 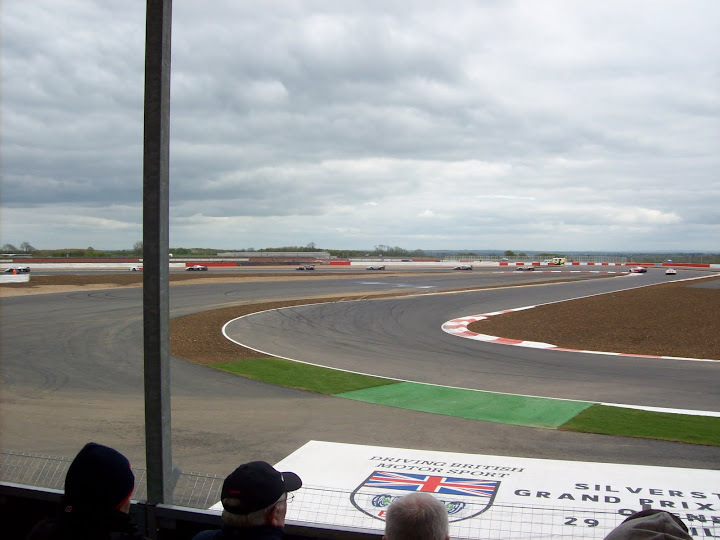 The final FIA Formula 1 British GP to be held at Silverstone, for the foreseeable future at least, as in 2010 this event is scheduled to move to Donington Park. Irrespective of how Donington will turn out, it will be a shame to leave Silverstone. The facilities for the crowd, the teams and the sponsors are not brilliant yet the actual racetrack is one of the best in the world. I absolutely love that camera position on the fence on the entry to Maggotts/Becketts, you really get a sense of the speed and the rapid direction change of these cars. 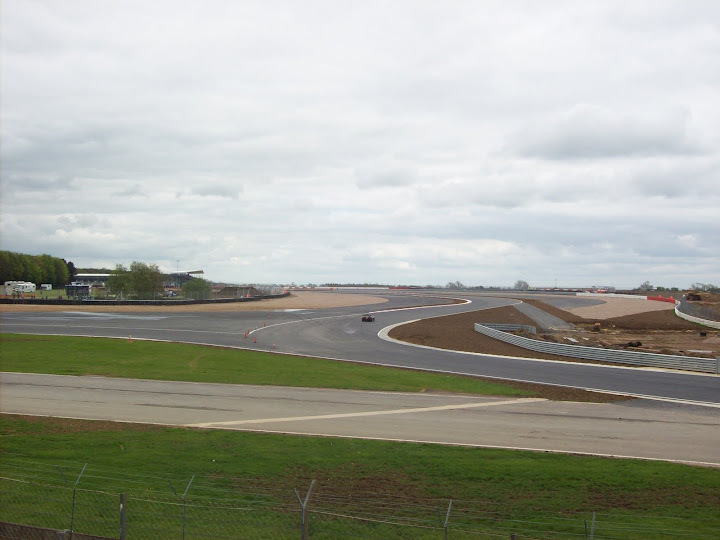 Quite what the motorsport landscape will look like by June 2010 is anybody’s guess – which teams will arrive at Donington? Will the circuit even be ready? Will FOTA organise their own British GP, held at Silverstone? All this is for the future. For now though, let us focus on this race meeting. We can reasonably expect the Brawns to be strong and today’s times from Free Practice suggest the recent Red Bull updates have strengthened that team. We could be in for a very competitive race! While this is a home race for Jenson Button, it has historically been one of Rubens Barrichello’s stronger circuits, expect him to come into play here. As for the other teams.. forget it, they are scrapping for minor points. BEFORE THE RACE at about 11am UK be sure to head to www.sidepodcast.com and join the live Parade Lap! It is an online radio show loosely discussing F1 with a laid-back Sunday vibe. It will end as the BBC coverage begins and there is live text commenting! Stick around on the site to live comment the race. I intend to both live comment the race on SPC, and live tweet on Twitter. If you follow my Twitter account and are located in the US (or elsewhere) and do not wish the result to be spoiled, you should avoid Twitter completely or un-follow me until you have seen the race. Sorry, the live audience isn’t going to wait for you! The return to the fast 7/8ths of a mile oval in the Pressdog’s back yard, Iowa. Check his site for regular updates from the track during and after the weekend! Iowa is a small oval but it is designed in such a way that the racing and the speeds are as they would be on a superspeedway. Craziness ensues! They haven’t been coming here long but it is turning into a must-see event, unfortunately year 1 was for all the wrong reasons will lots of crashes. Year 2 was much better with close racing everywhere. What will this year bring? For all other events I will list the UK TV channel only, if you are elsewhere you will have to look it up (check their website). I believe that’s everything, let me know if you spot something else worth noting. For those in the UK, don’t forget the return of Top Gear on BBC Two at 8pm Sunday! Finally, if you missed the Jackie Stewart, Jim Clark and Graham Hill docos on BBC Four earlier in the year, as I did, they are repeated in one lump on Saturday night from 8pm. Enjoy! Much as last year the forecast for this weekend is for rain, it could be fun! I have to say I don’t usually enjoy events at this racetrack – the short Bugatti circuit, that is – but last year’s was very interesting due to the different tyre strategies involved. In fact the DTM race at same venue was under similar conditions. Is there a micro-climate we should be aware of? Support races: 250s, 125s, etc. Not a part of the Sprint Cup but featuring all of the drivers and teams, this is basically a race for the sake of entertainment and a shedload of prize money. I don’t really understand how it works and quite honestly I don’t care. UK – LIVE on Sky Sports 2 at 12.30am Saturday night / Sunday morning, repeated on three times across Sky Sports during Sunday. Last week the European LMS held their last round before Le Mans and this week the Americans do the same. Simon Pagenaud and David Brabham raced last week for Peugeot at Spa (Pagenaud won) and this week both are on ALMS duty for Acura in the de Ferran and Highcroft entries respectively. Of note here is the high altitude of the course which adds an extra dimension to the challenge of the race. The ALMS isn’t in as great a form as it used to be and they’ve had to bring in some GT3 cars as field-fillers, yet while the quantity is down the quality of entrants at the sharp end of each category is as high as it ever was. Note – while many ALMS races are on Saturday, this race takes place on SUNDAY. At long last the DTM gets started! After what seems like an eternity since the end of their 2008 season in October the German tintops heavily reliant on little aero tabs finally start their season. I’m not sure which genius decided they’d start in May but I suppose it separates them from all the other championships which start in March/April. Mercedes vs Audi once again then and it looks like the 2-yr-old cars have been ditched, which is great news. It means Kat and Susie can finally demonstrate their known abilities against the rest of the 1-yr-old field, and a well-driven 1yr car can mix it with the current cars and certainly gets noticed. It could be a good year to watch DTM – unfortunately the FTA coverage on MotorsTV has vanished to be replaced with coverage on the pay-monthly Setanta. Pau is a crazy place. Imagine Macau if it only had the narrow part, and fast. The racing isn’t always great but it’s worth a look to check out the precision driving, particularly over the chicanes with walls very close by. Of course it could all get horribly embarrassing very quickly indeed. UK – LIVE on Eurosport at 11.45am (race 1) and 1.45pm (race 2). UK – LIVE on ITV4 from 11.30am, they will flash up the race schedule during the programme so that you can plan your day according to which support races you want to watch. That’s it, if ever if you think I’ve forgotten something please point it out in the comments. Don’t forget, in addition to these races there are also the final two qualifying sessions for the Indy 500. Third Day qualifying is on Saturday to fill positions 23-33 and on Sunday there is Bump Day as the last-chance qualifying. I’m not sure how many bumps there will actually be, it doesn’t seem like many so unlike last week I won’t be following it all that closely. I tried an experiment on Twitter on Thursday night. I tweeted some race results, just the top few places, as an idea to promote discussion of series people may not usually follow. It turned out to be a bad idea! It doesn’t work at all on Twitter – but I think it may just work on the blog. I will be writing a test post at some point over the next few days using the format as these Previews and we’ll see how it goes. Finally, an apology for the lack of updates recently. I am in the final stages of an accountancy course and I have been concentrating on that! MotoGP’s globetrotting is on hold for a while as the series begins a two month, 5-round European leg with the first of three(!) visits to Spain this season, just as with most seasons. I’m completely out of the loop with MotoGP this year because I haven’t had time to watch the first two rounds, I’m sure I’ll catch up at some stage though. UK – LIVE on BBC Two at 12:30pm with delayed coverage on Eurosport 2 at 2pm. It has still be fun racing though and let’s hope they are able to hold a 5th season for next winter! NOTE THIS IS SKY 1 NOT SKY SPORTS 1! This is a Saturday night race. According to AUTOSPORT (now in ALL CAPS!) there was a competition and the winner had the race named after him, hence the Russell Friedman 400. Only in NASCAR..
UK – LIVE on Sky Sports Xtra at 12.30am Saturday night / Sunday morning, repeated on SSX at 5:30pm Sunday. An all-new event on a street circuit which was only finished a few weeks ago, and which the 3-time touring car champion Andy Priaulx described on Twitter as being “like Monza without the runoff”! This is due to be the final year of FIA GT before the all new FIA World GT series kicks off in 2010, and some of the all-new-spec GT1 cars are on the grid for this race albeit some 3 seconds off the pace of the highly tuned current breed. I’m sure a lot of time will be clawed back as the new cars get into their groove. I had hoped to attend this race because I’ve never seen a proper sportscar race in person, unfortunately other things have got in the way and I’m unable to make it. As always this will be a 2-hour event. UK – Same-day delay in full at 10pm on Setanta Sports 2, with 1hr highlights on Sky Sports on Thursday at 6:30pm and 30 mins on Channel 4 at 7am on the 17th. The series which is a bit like GP2 but not as good heads for the hills of Belgium this week. You need to know about it though because it discovered Fernando Alonso, Robert Kubica and Sebastian Vettel. UK – Race 2 LIVE on Eurosport at 12:45pm, no apparent coverage of race 1 so I’d expect short highlights of it just prior to the green light for race 2. Do we like the sub-headers? Very Champ Car aren’t they? These posts are becoming a great deal of work so you may find they are pared back to basics in future weeks. On a personal note, my area finally gets the Digital Switchover on Wednesday! The wider area has it already but with my town in an aerial blackspot we rely on a repeater transmitter – that transmitter gets switched on the 6th. This should mean I get to play with the BBC’s red button service for F1 and MotoGP, as well as watch ITV4’s coverage of BTCC and Tour de France!